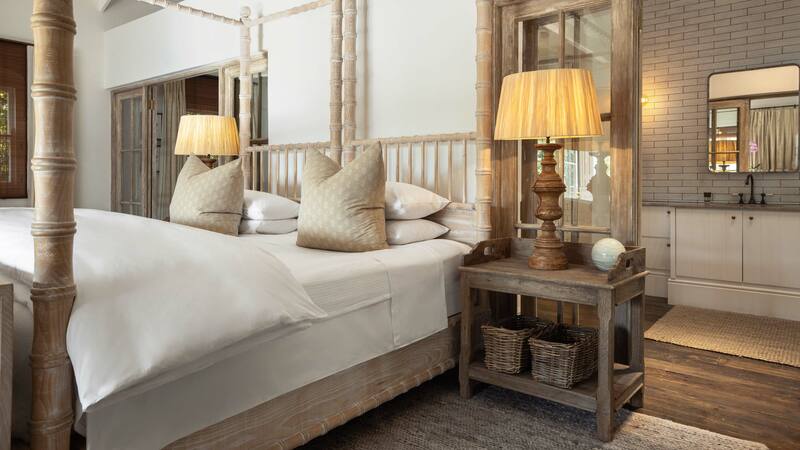 Our largest, most spacious cottage, Gelatenheid is a two storey cottage with a strong Cape Dutch architectural influence. It includes two suites, connected by an artisan wooden staircase that sits inside a double height glazed gable. 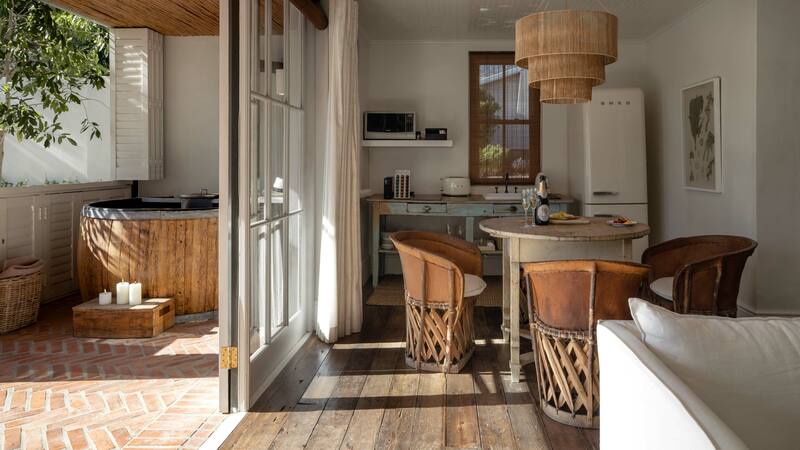 It is truly a space that caters to comfort and relaxed country chic charm, with extensive living and dining spaces on each floor. 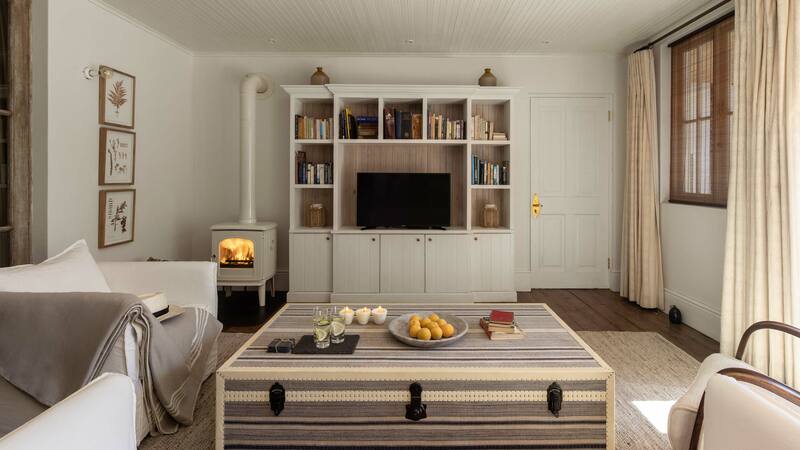 Interiors touches, such as freestanding baths and luxury vanities are complemented by al fresco decadence with two balconies, out door fireplaces and wood burning hot tubs clad in Cape brandy barrels. 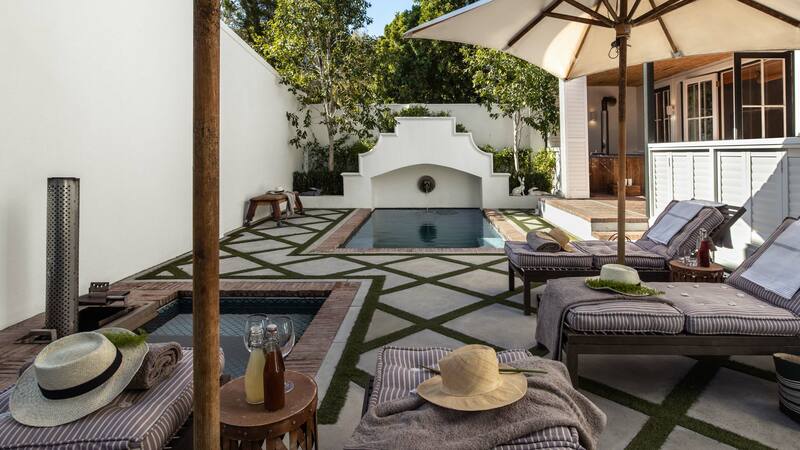 The cottage also boasts its own private sun drenched patio, where guests have exclusive access to a moroccan mosaic private pool, lounging space and hot tub (seats 4). 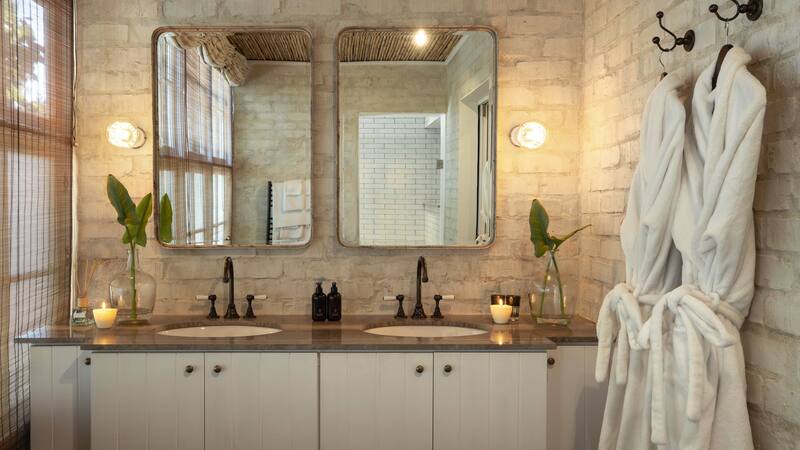 Gelatenheid has luxury and charm, and a level of detailing that make it ideal for those seeking space to unwind and indulge.